She is coming to Netflix in only a few days. Her name is Jessica Jones. She is a Marvel character. Most of the more casual Marvel fans have no idea who she is though. So, who is Jessica Jones? Why does she deserve a Netflix show after Daredevil and even before Iron Fist and Luke Cage? Find all of that out here, in our In-Depth Profile: Jessica Jones! 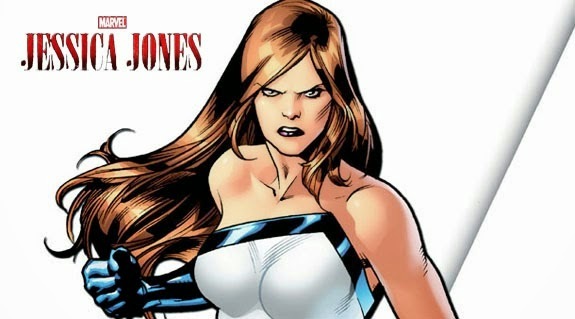 Created by Brian Michael Bendis in 2001, Jessica Jones first starred in the Marvel MAX imprint series “Alias”, about the detective agency of the same name. Bendis originally planned to use Jessica Drew (Spider-woman) as the main character, but quickly realised that the series would go into directions which wouldn’t fit that already established character. He instead created Jessica Jones, with her own unique voice and motivations, specifically for the new comic. 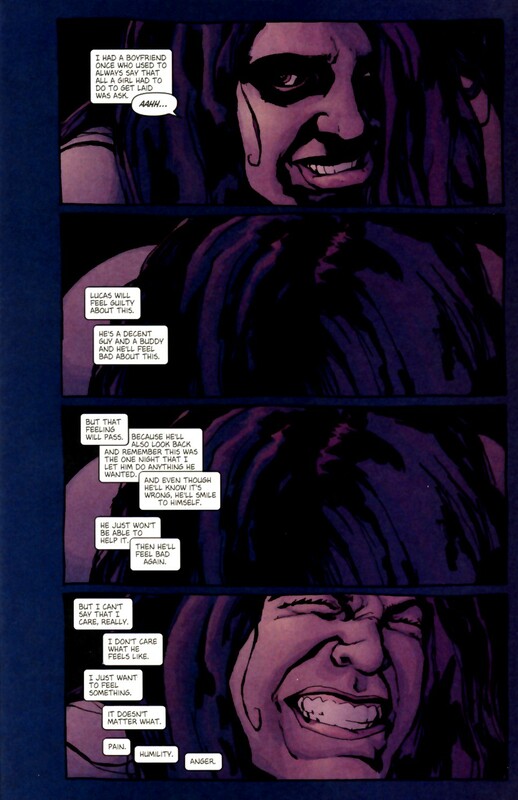 “Alias”, a comic in the mature imprint of Marvel from the 2000s, introduced her at a later point of her life as a grown woman, but her interactions with the greater Marvel universe started even earlier, which show that she might not be a lynchpin for the universe, like the Avengers or X-Men, but a very important cornerstone for a lot of different A level Marvel characters. Jessica used to be a classmate of Peter Parker, who even had a crush on him and wanted to tell him in exactly the instant he got bitten by the spider. She also had a crush on Johnny Storm, who she knew only from afar. Her origin is intertwined with Tony Stark, since he was her Dad’s boss, who gifted her family the tickets that lead them to Disneyland, where their car crashed into a convoy carrying radioactive materials. Her whole family died in that moment, while Jessica drifted into a coma, from which she only awoke when Galactus made his first appearance on earth. After that she was adopted by the Jones family and discovered that the radioactive accident granted her superpowers of super strength, flight and invulnerability. Then seeing a fight between Spider-man and Sandman in her own high school class, she got inspired to become a super hero of her own. She started her super hero career as Jewel, but that quickly turned sour when Jessica crossed paths with Daredevil villain Zebediah Killgrave, the sadistic telepath Purple Man! He used his telepathic powers to torture Jessica and used her superpowers for his own gain. After a series of traumatising events I will not go into here, because I don’t wanna spoil the upcoming Netflix show, or the comic for you, which you still should check out, Jessica took on another superheroic identity: the darker Knightress. After a fight with the Mafia and the Owl, Jessica Jones revealed her identity to the police so that they would allow her to look after children for the rest of the night, which belonged to one of the criminals and were terribly frightened. That is also the night she met New Avenger Luke Cage for the first time. After those experiencesJessica decided that the costumed lifestyle of a superhero wasn’t for her, but still left with a deep desire to make a difference she opened up the detective agency “Alias Investigations”, with a special interest towards superhero or at least superpowered cases. This is also where Killgrave, the Purple Man, came back into her life to finally break her for good. That story especially seems to be the basis of the upcoming Netflix show, as it was the main arc of the comic “Alias” on Marvel MAX, so we aren’t gonna dive into what happened here, but if you followed me so far you will already know that Jessica is a very interesting, but also very different character for the Marvel universe. Jessica Jones is failed superhero, but not a failed human being, still fighting for what’s right, trying to find her own way in this crazy world. She fights against her own terrible past, drinks hard and still finds the courage to go on, to power through everything the Marvel universe and the Purple Man throw against her and gets her own happy end against all odds. 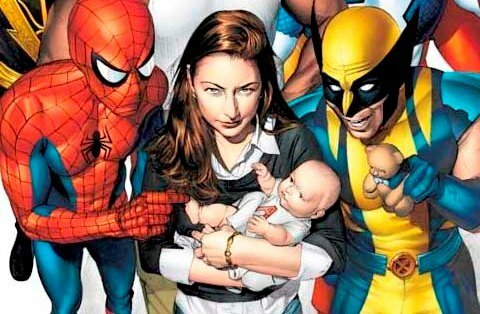 Jessica ends up married with Luke Cage, even kinda joins the New Avengers with him, while the two of them have a baby. So, in a way, Jessica is like a more normal person through which we can view the Marvel universe, a person who decided against the pressures of the super hero lifestyle and instead chose to make her own path outside of skin tight spandex and giant aliens. If you look at the cast of Marvel’s female characters, a lot of them great characters in their own right of course, this makes Jessica an absolute standout character. She and her writer/creator Brian Michael Bendis broke barriers not many other mainstream comic characters dared to touch before, like a white girl marrying a black man from Harlem, giving up on your dream, while finding a new one, being Avengers with a normal family life and relationship and even… well… female sexuality and the power that lies therein, as you can see in the very very mature panels below. Yeah, that happened and it was bold and brave and also a bit unsettling to read, if we are being honest here. This is just one of the many examples that made “Alias” such a great book and why I am sure the choice to give her the second big budget Netflix/Marvel TV series will absolutely work out: it’s fresh, dangerous, dirty and really exciting. 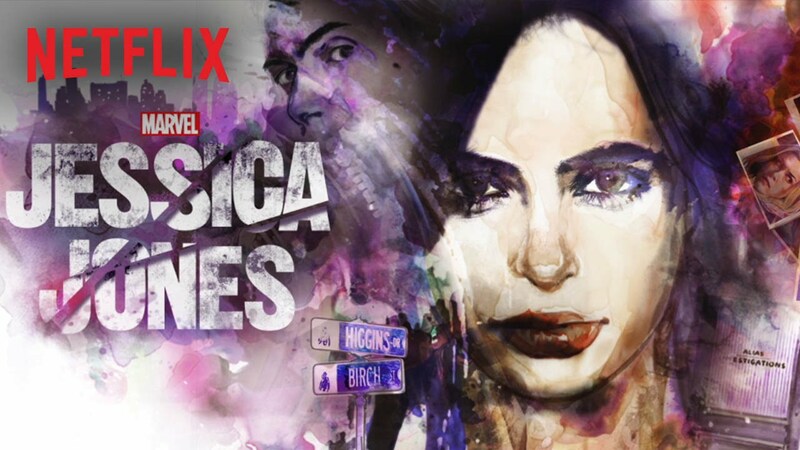 Coming to Netflix on November 20th, “Jessica Jones” will probably tell a lot of the stories from the comic book series of the same name, but rearrange parts and add its own spin to it, just like the Netflix Daredevil series wasn’t a mere retelling of Frank Miller’s “The Man Without Fear”, but did tell the same basic overarching story. Krysten Ritter plays Jessica Jones, David Tennant (the beloved 12th Doctor!) is the Purple Man and Mike Colter is Luke Cage. Being produced by the same guys and in the same vein as Daredevil, the trailers alone showed that this series has the potential to be very good and also maybe even darker in tone and themes than the already pretty dark Daredevil! 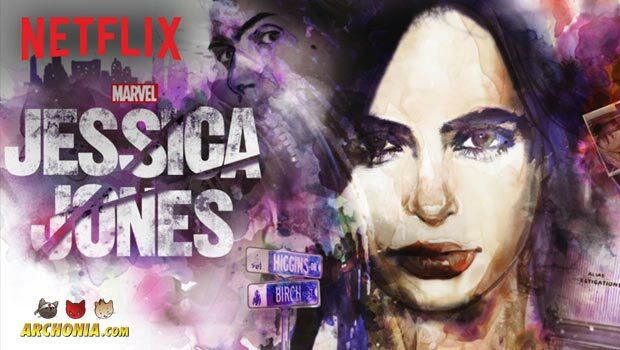 So, if the character seems interesting to you, wether you have already read Alias or not, Netflix’ Jessica Jones seems like a must watch for people who like their Marvel comics a bit more on the dark side… which is absolutely appropriate, since that is exactly where you would also find Jessica in the comics.